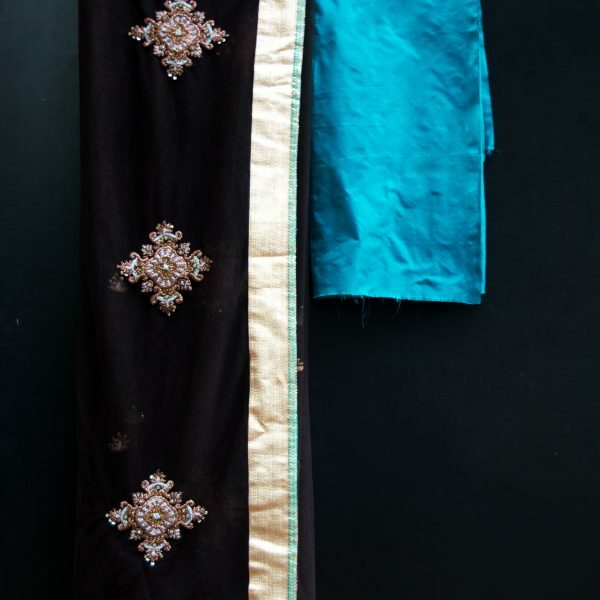 A black net sari with intricate embroidery all over the body and a wide sari border with teal detailing. 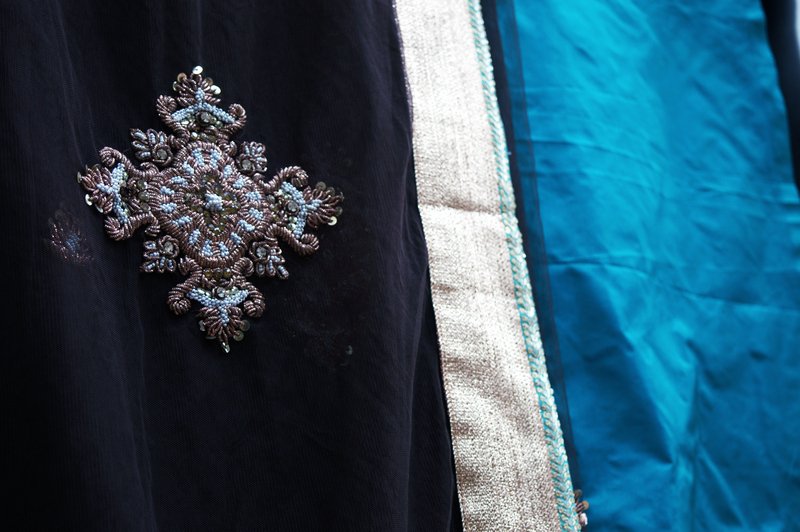 Comes with a teal silk blouse piece and matching stain petticoat. 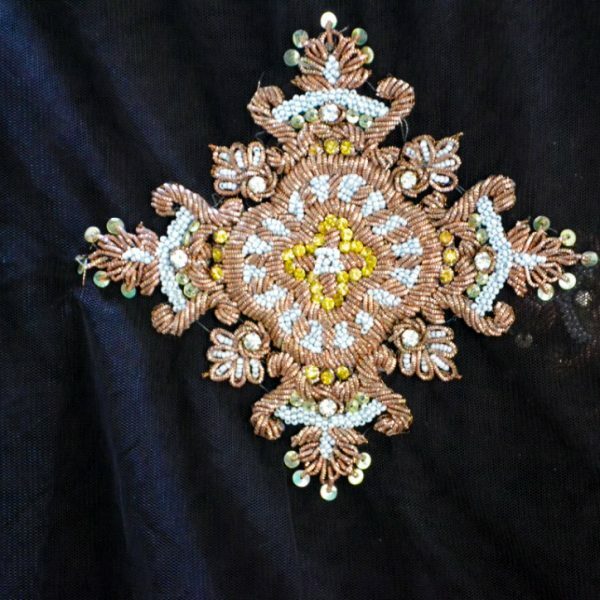 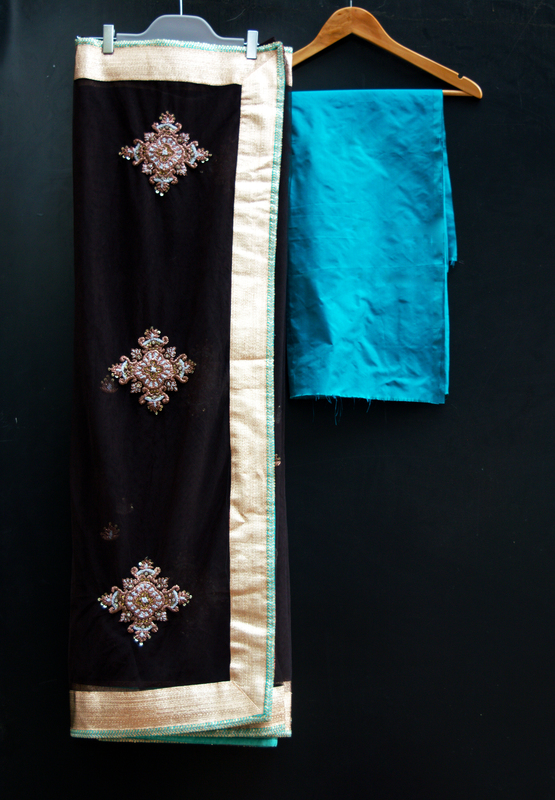 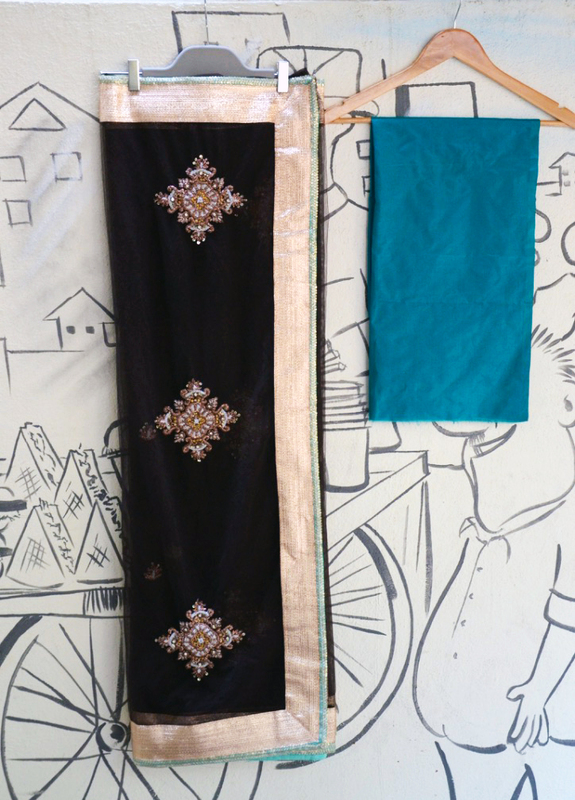 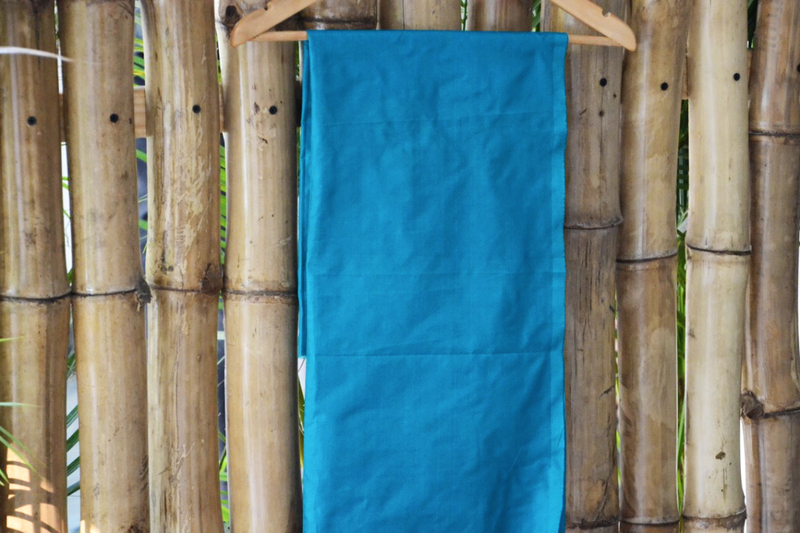 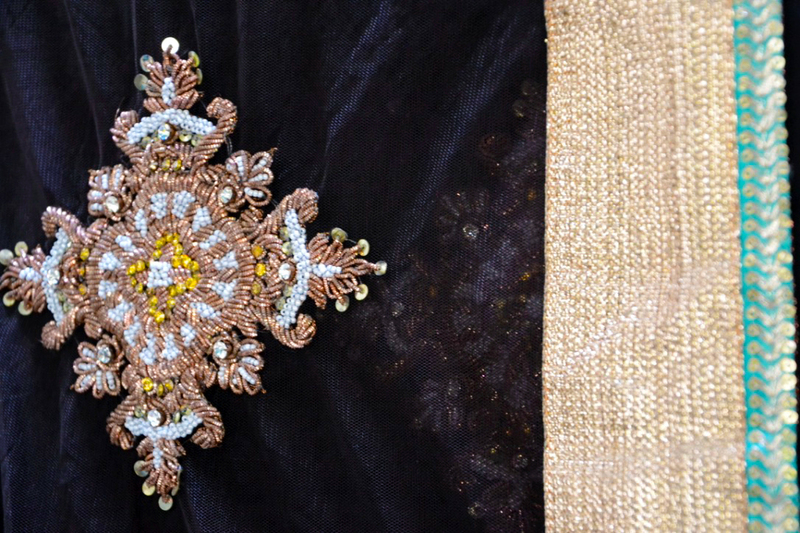 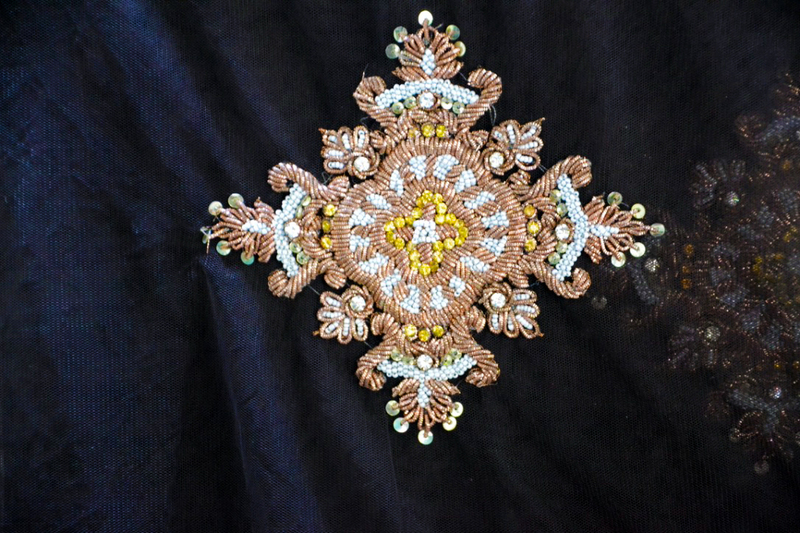 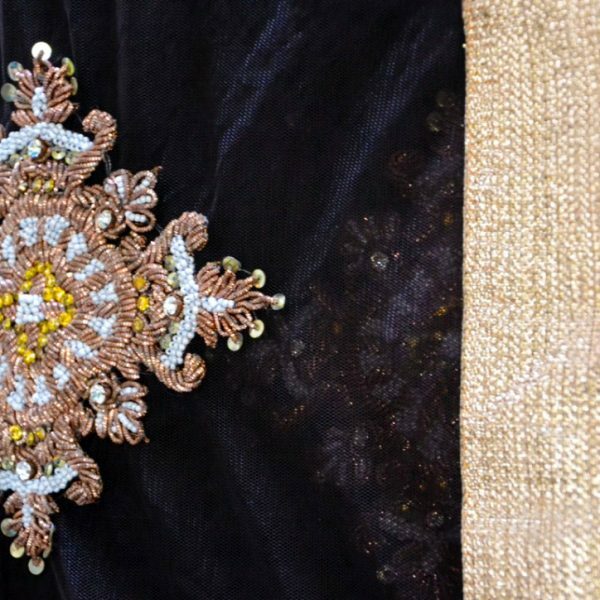 A Black Net Sari with intricate embroidery all over the body and a wide zari border with teal detailing. 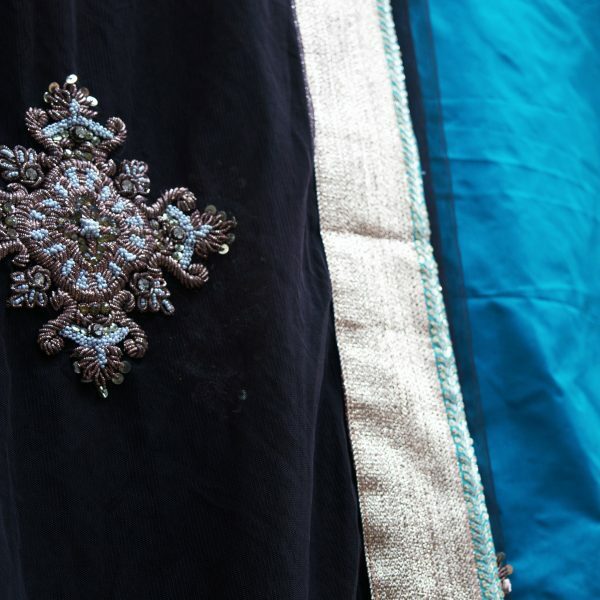 Comes with a teal pure silk blouse piece and matching satin petticoat. 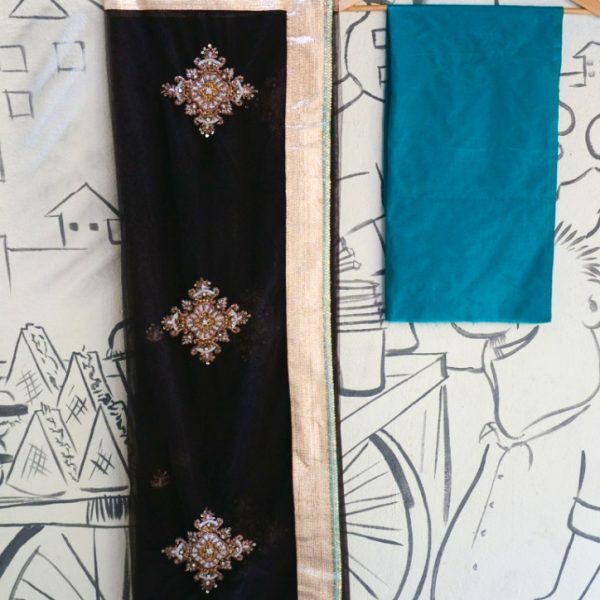 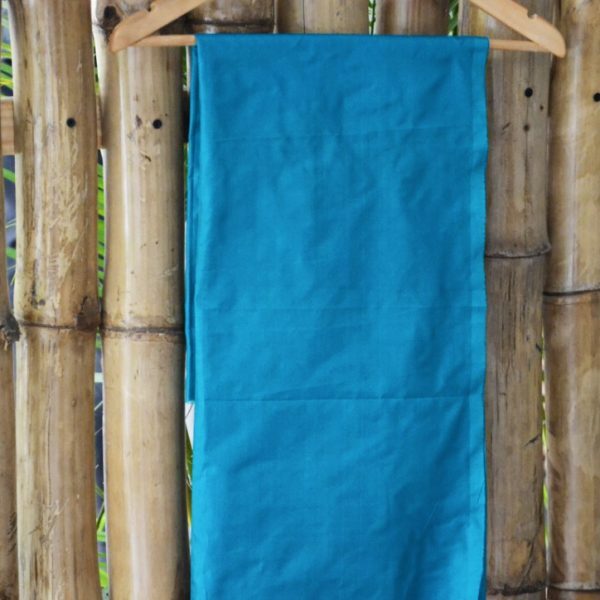 The ‘perfect little black dress’ version of our saris!